These are your premium garage door answers on the net. How can I be sure the door is safe? If you have an overhead door, the best way to ensure the door is safe according to our specialists in Burlington is to maintain the sensors often. After all, their job is to ensure our safety. As an overall, garage door maintenance regularly will save you from problems and basically ensure safety. The longevity of the garage door material depends on several factors. Of course, the initial strengths and quality of the material play a great role but its maintenance is of equal importance. Even if you have a cheaper aluminum overhead door, it will last longer than steel ones with regular service and if it's not subject to bad weather. Are keypad access control systems safe? A wireless garage door keypad is equally and, in some cases, even more trustworthy than any clicker according to Garage Door Repair Burlington. Modern keypads work with rolling codes and for this reason you don't have to worry about security issues. They are very convenient and after all codes can be changed any time you want. What's the basic reason for accidents? There are many reasons why garage door accidents still happen. Though, the negligence of people to take care of sensors problems is perhaps the most important one. 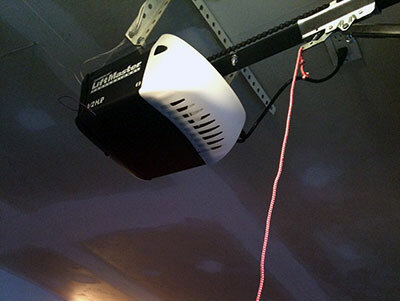 One other major cause is their insistence to interfere with garage door repairs and especially spring problems. Children are often victims because we let them play close to the garage door. I’m thinking of installing a glass garage door, should I go for it? Our experts recommend that you first understand the pros and cons to having a glass garage door. It is relatively easy to install, but also easy to break. It is more vulnerable than normal garage doors, but is quite easy to maintain. Can I still open my garage door even if it’s broken? It is better to leave your garage door alone and immediately ask for the help from our technicians. Do not attempt to forcefully open your door or make an effort to fix it yourself; it may cause more problems with the mechanism and also you can seriously harm yourself. Fixing broken garage doors should be left to our pros. What parts of sensors must I check? The reverse mechanism must be checked by placing an object on the floor as the door comes down. Also, check the wires. Make sure they're connected in the terminals and are not worn where they're stapled. The green light must be on or adjust the sensors. What causes my garage door to shake? This problem most often occurs due to loose hinges, rollers and/or tracks, according to our professionals in Burlington. The bolts which hold them in place must be tightened. 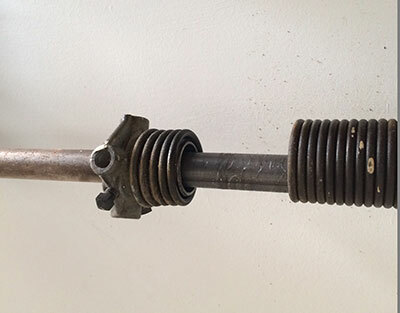 Any broken and damaged components and bolts must be replaced swiftly. If the door uses extension springs, the pulleys which work with them may be worn-out or damaged and require replacement.